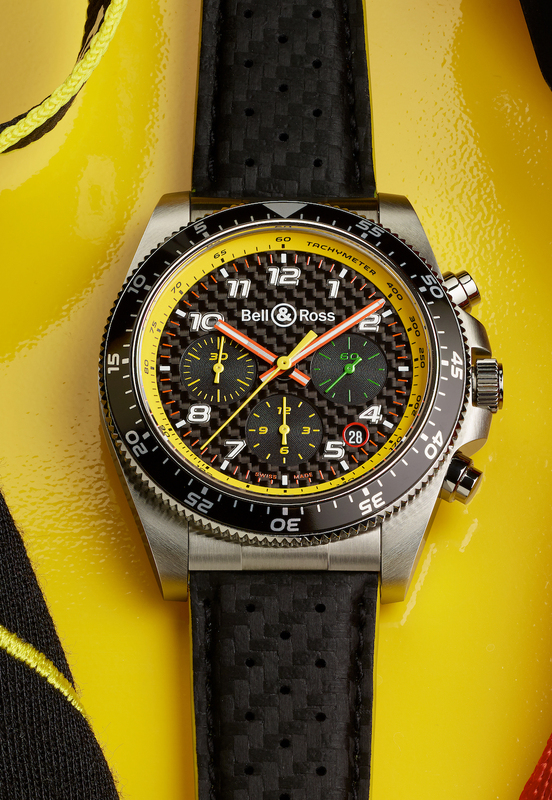 Bell & Ross and the Renault F1 Team continue their collaboration in 2019 with a new driver chronograph of the R.S.19 collection. The case, in stainless steel, measures 43mm. Bi-directional rotating steel bezel with black anodised aluminium ring with scale and countdown timer. It has an AR-coated sapphire crystal, a sapphire display back, and it is water resistant to 100 meters. Movement is the Swiss automatic Bell & Ross caliber 301 (base ETA 28942) with 37 jewels, 28,800 vph and a power reserve of 42 hour. Functions are: hours, minutes, small seconds at 3 o'clock. Date. 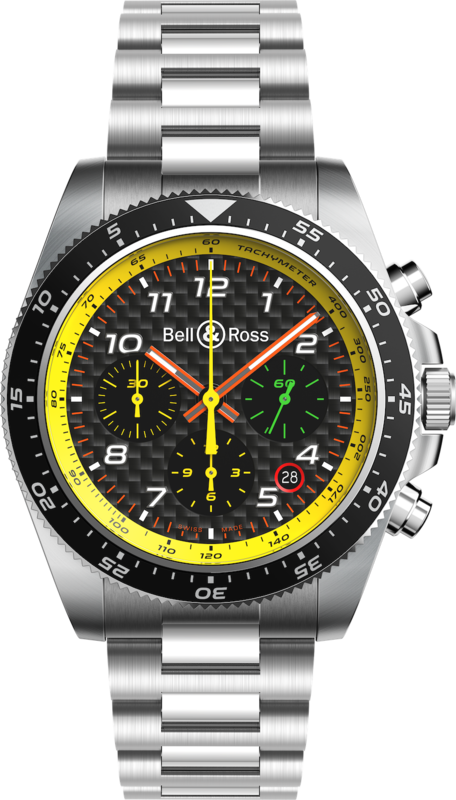 Chronograph: 30-minute counter at 9 o'clock, 12-hour counter at 6 o'clock, central chronograph seconds. It has a carbon fiber dial. Applique SuperLuminova-filled numerals. Metal skeletonised SuperLuminova-filled hour and minute hands. It comes on a black carbon-effect calfskin leather strap or on a steel bracelet. MSRP is $4,400 to $4,700.